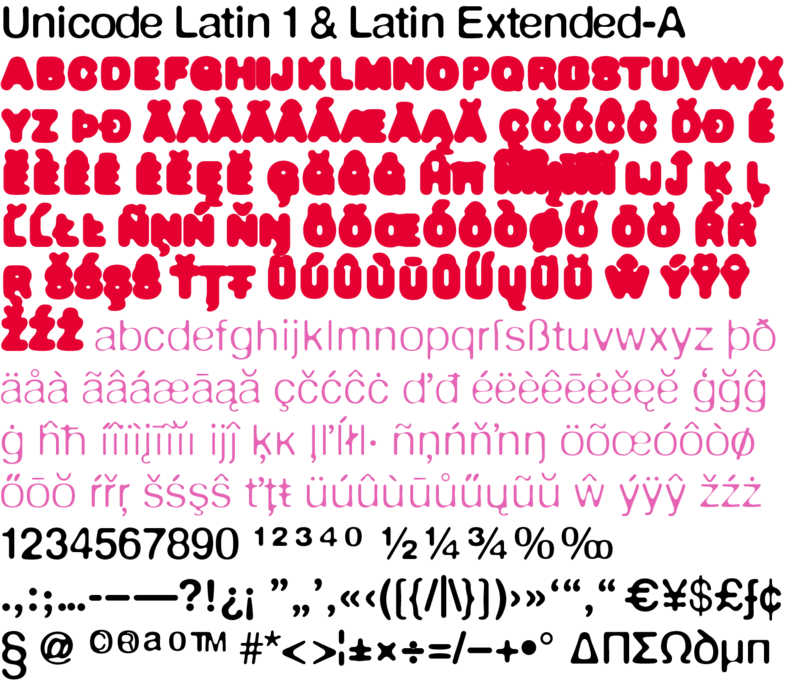 The underlying typeface is based on ”Helvetica“, the only true ”run-of-the-mill“ typeface of the twentieth century. The distorted principle used simulates the photographic effect of halation and/or overexposure. The light typestyle, DeFonte Léger, nearly breaks on the thin points, whereas on those points where the lines meet or cross, dark spots remain. 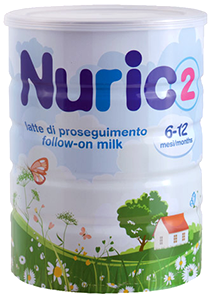 The characters are ”nibbled at“ from the inner and outer brightness. 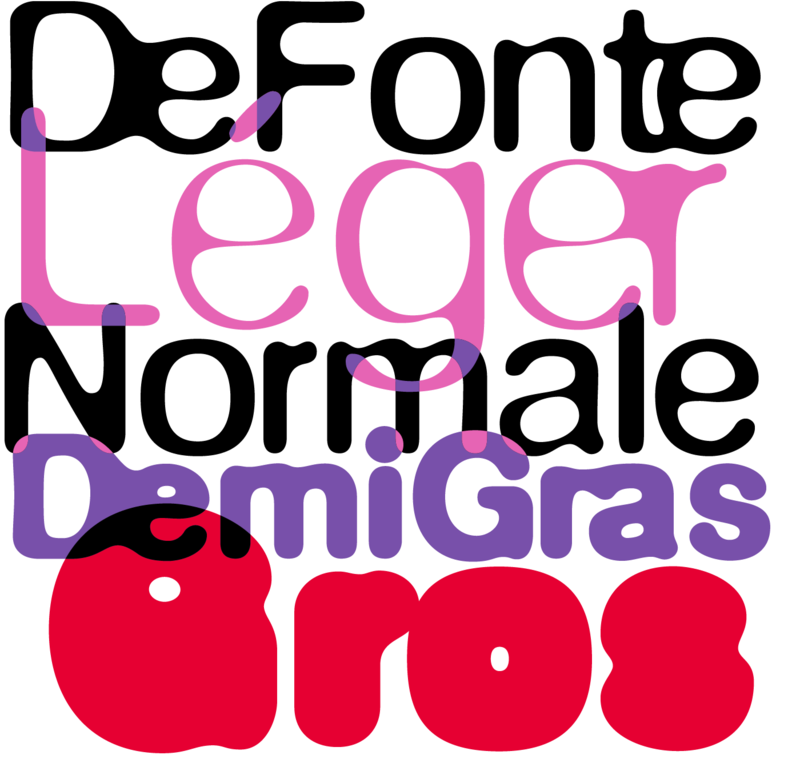 On the normal and semibold typestyles, DeFonte Normale and DeFonte Demi Gras, the effect is limited almost exclusively to the end strokes and corners, which appears to be strongly rounded off. The bold version DeFonte Gros is especially attractive. 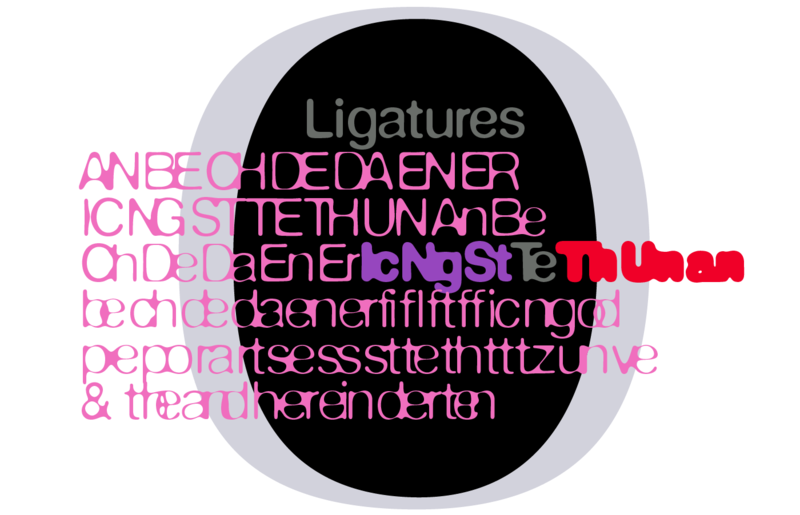 As a result of ”overexposure“, counters (internal spaces) are closed in, while characters become blurred and turn into spots; new characteristic forms are created which are astoundingly legible.